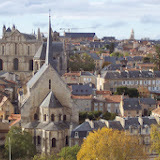 “Ma découverte de Poitiers” (My discovery of Poitiers) By Reina | Reina K.
Poitiers is one of the biggest university towns in France: the University of Poitiers is the 2nd oldest university in France! 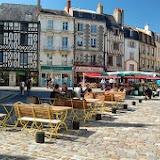 They have more students than any other large town or city in France. 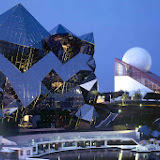 Home to “Parc du Futuroscope,” which is a huge French theme park based around cinematographic, futuroscope, multimedia and audio visual techniques. It has several 3D cinemas and a few 4D cinemas along with other attractions and shows. I mean look at this place! The Musée Sainte-Croix is the largest museum in Poitiers, France. 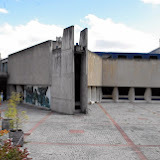 Planned by architect named Jean Monge and it was built in 1974. The museum hosts an permanent exhibition of works which is sculptures of Camille Claudel and Auguste Rodin, the vase of Saint-Savin, paintings by Piet Mondrian and Odilon Redon and the stone sculpture of L’Âme de la France by Charles Marie Louis Joseph Sarrabezolles. Le genie est une longue patience.